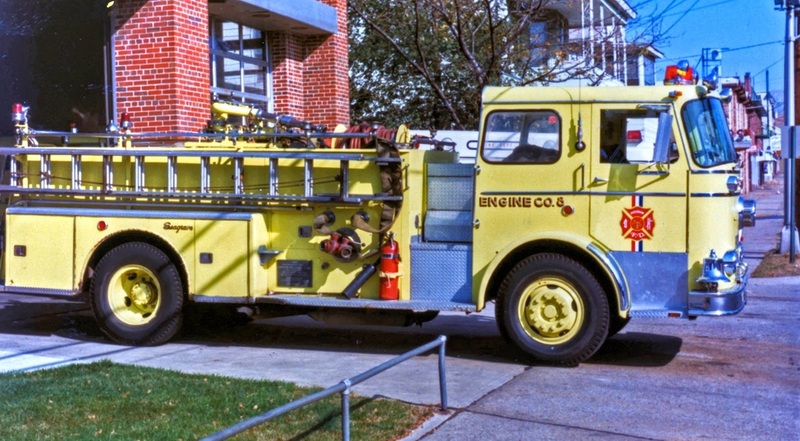 Seagrave Fire Apparatus LLC is the longest running fire apparatus manufacturer in America that specializes in pumper and rescue units, as well as aerial towers. 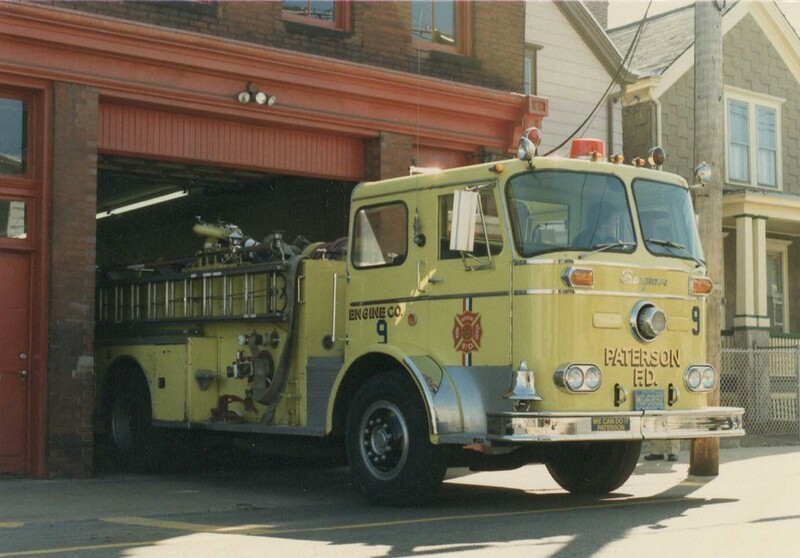 Seagrave was founded in Detroit, Michigan, in 1881 by Fredric Seagrave and moved to Columbus, Ohio, in 1891. 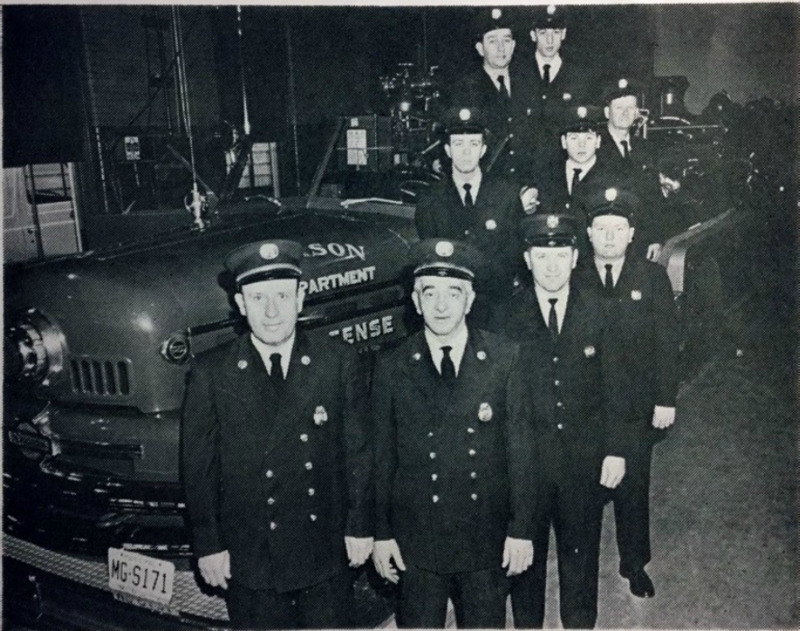 Seagrave was acquired by the FWD Cororation in 1963 and moved their corporate headquarters to Clintoville, WI. 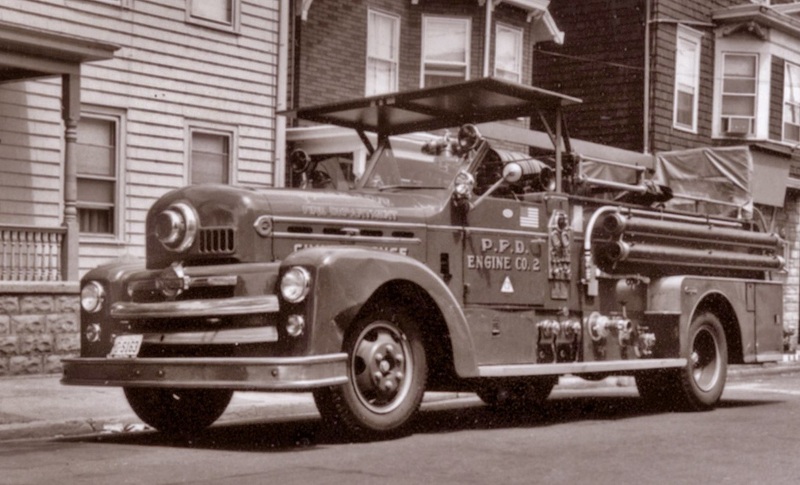 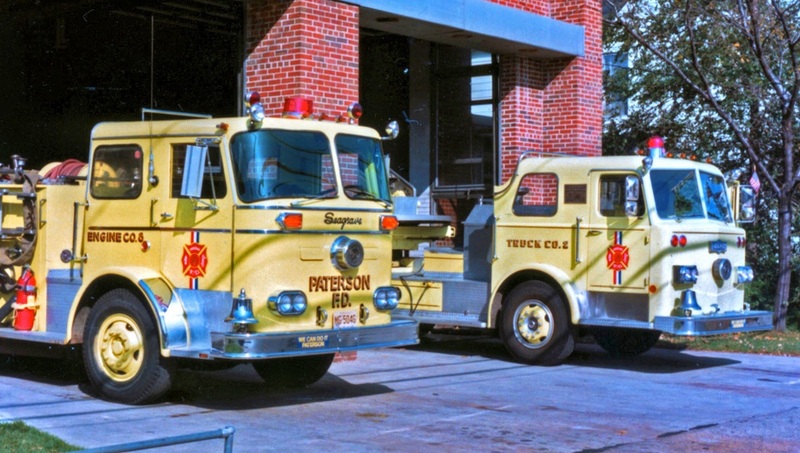 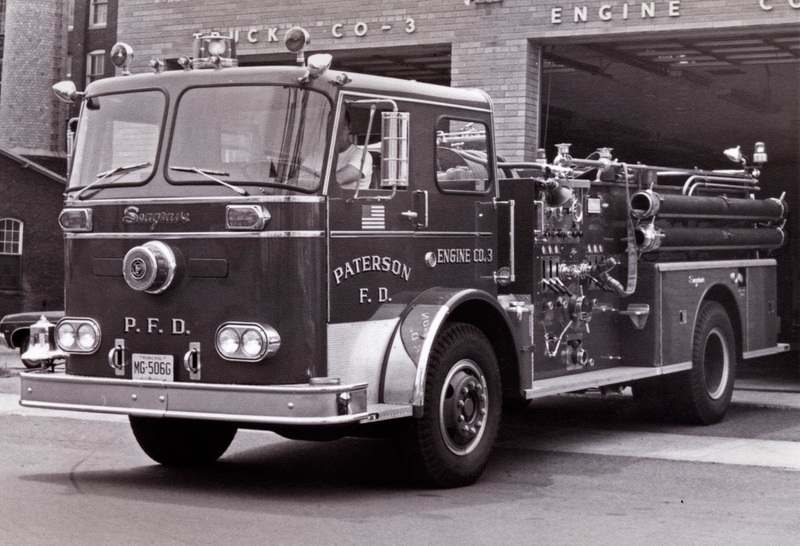 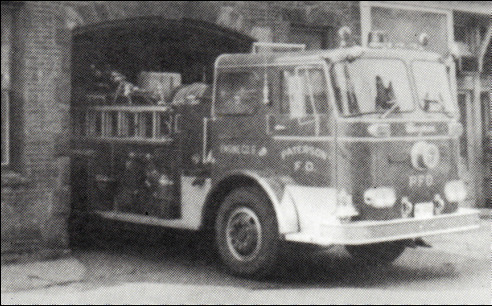 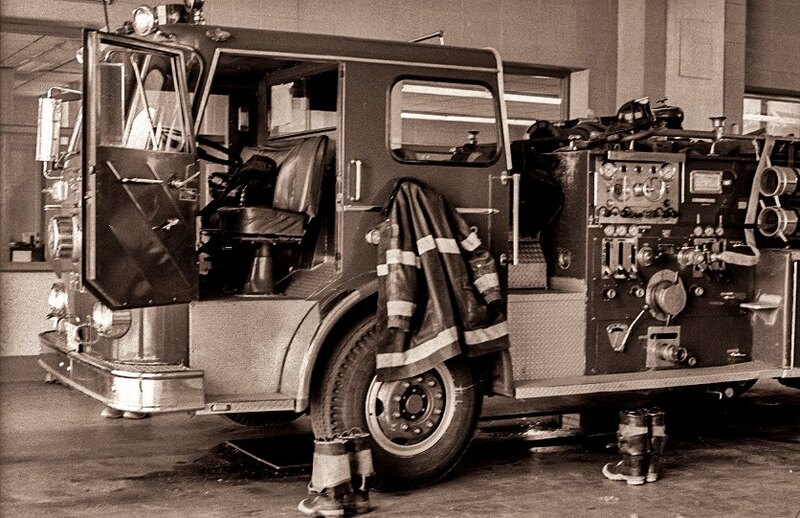 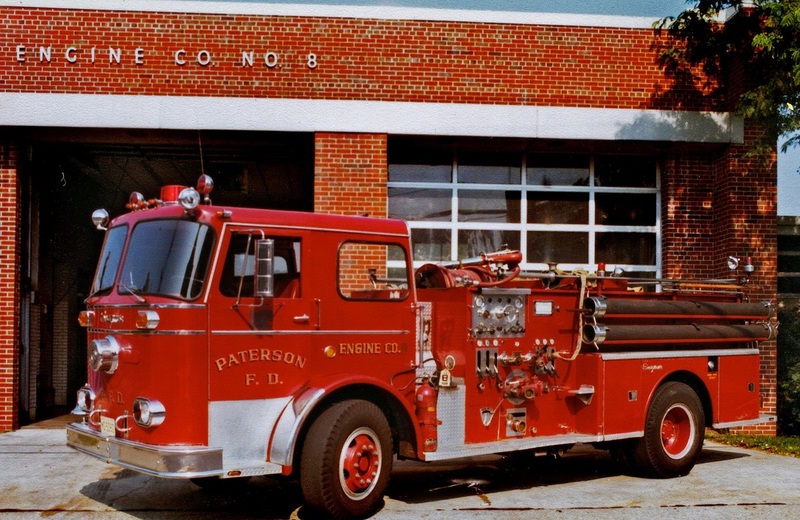 Starting in 1951, on their 70th anniversary, and then continuing through 1969 Seagrave called their apparatus the Anniversary Series (had horizontal chrome grill strips). 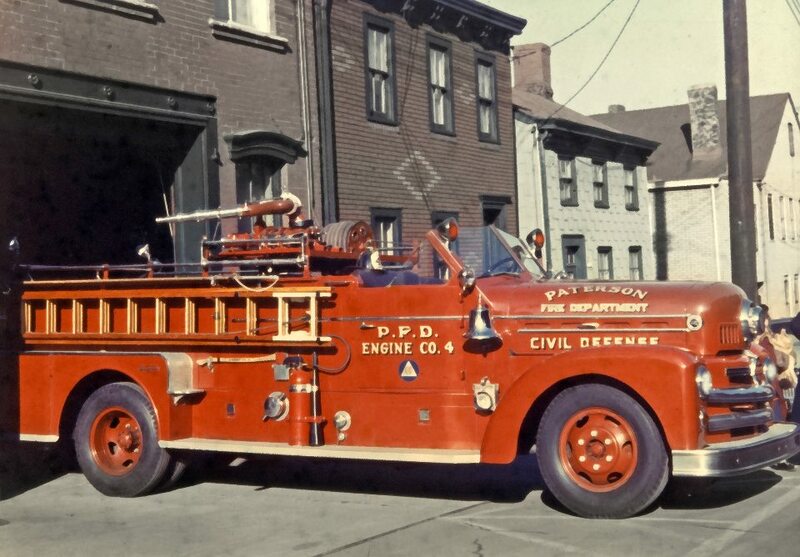 Pre-1951 models were considered as the Classic Series with Waterfall grills (vertical chrome strips). 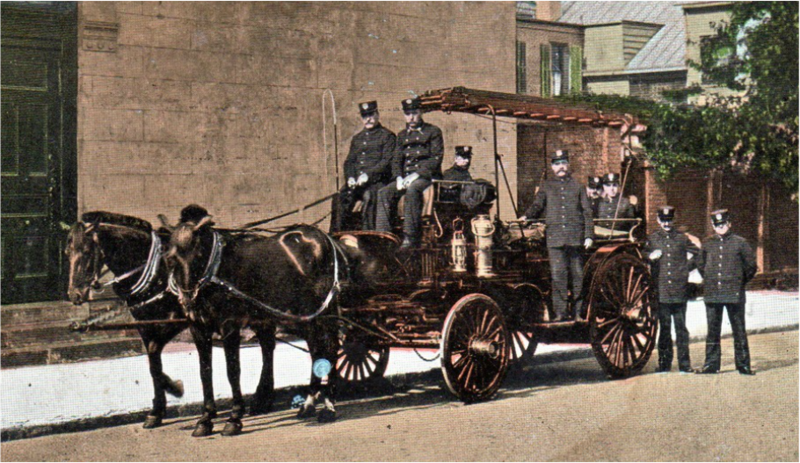 Circa 1903: Engine Company 5 on Water Street had a Seagrave Hose Wagon with a Hart Water pump. 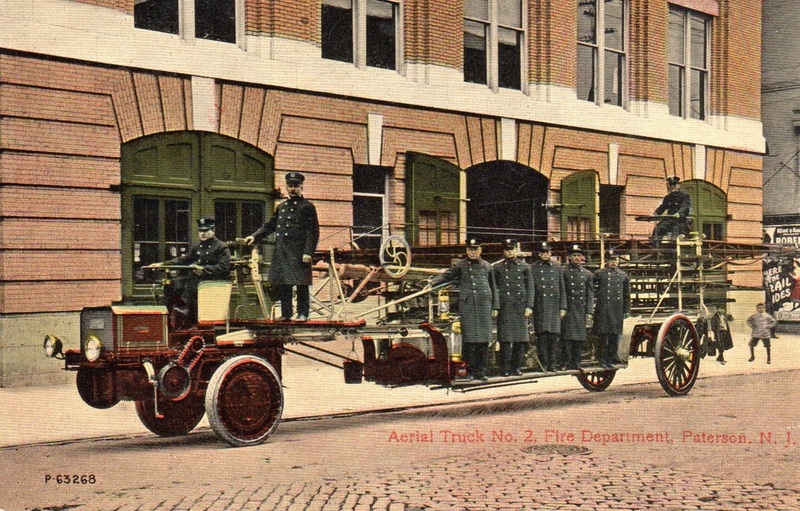 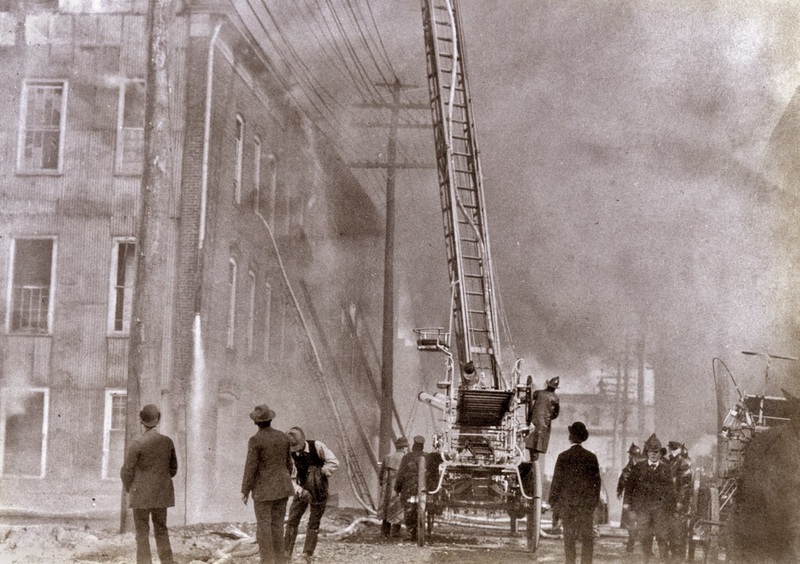 It was transferred to Engine Company 6 on Martet Street in 1912. 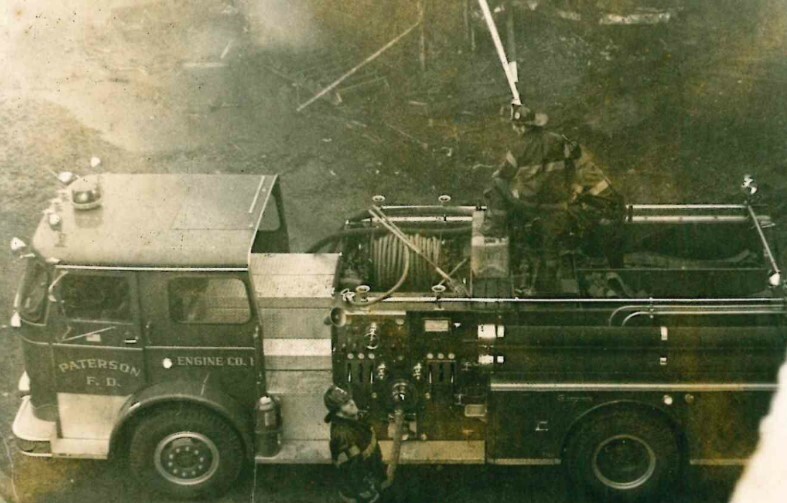 1903: Truck Company 2 received a 75 foot Seagrave Aerial with a Hose Tower attachment pictured below over the years. 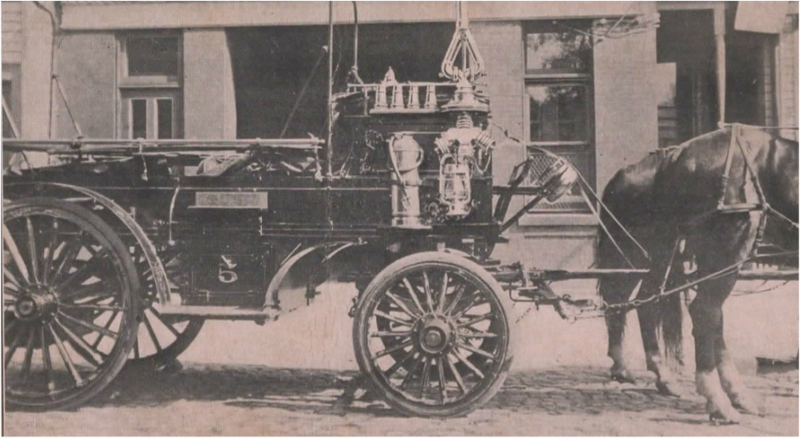 1912 received Christie Front Drive Tractor and in 1917 a Commercial Truck Company Electric Drive tractor. 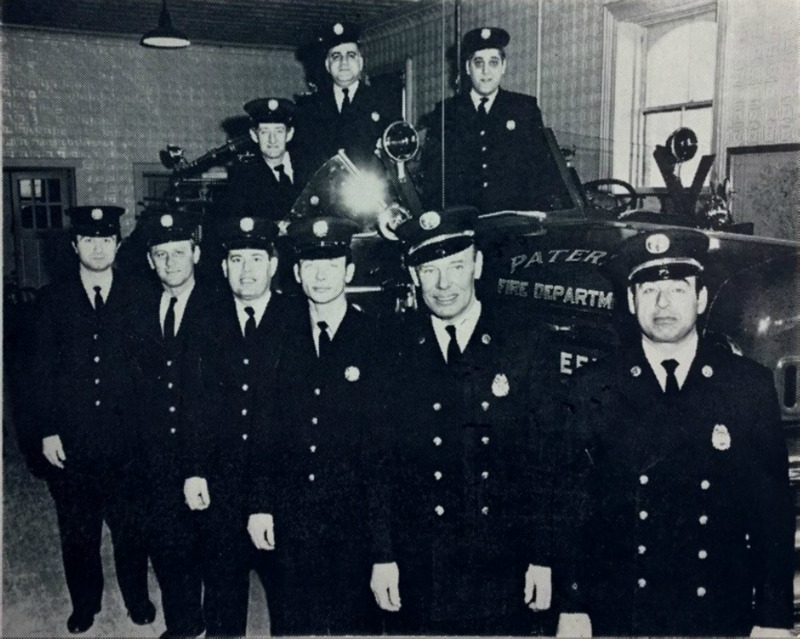 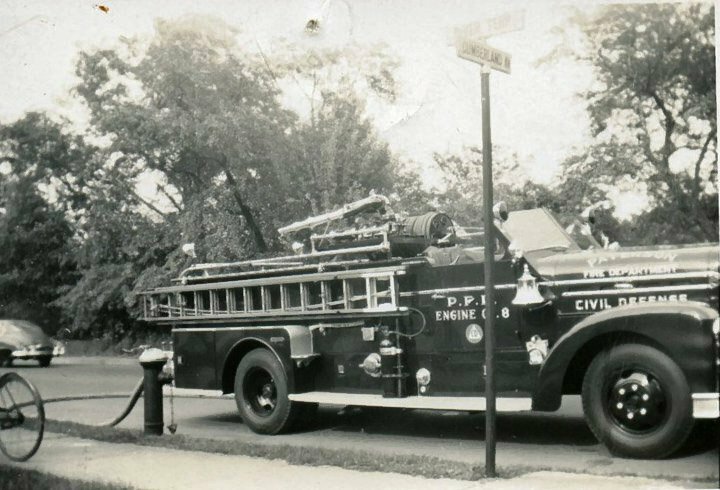 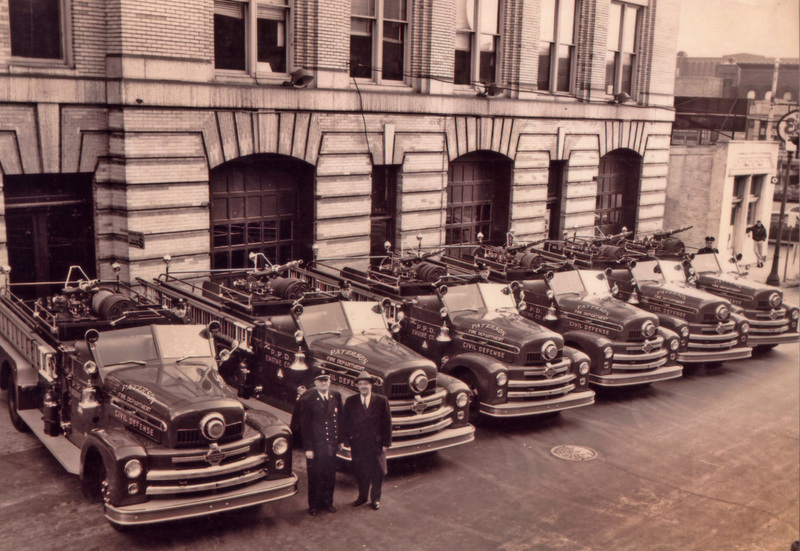 March 1953: Six new Seagrave 750 GPM pumpers via a Federal Civil Defense Grant acquired and assigned to Engine Companies 2, 3, 4, 6, 8, and 10. 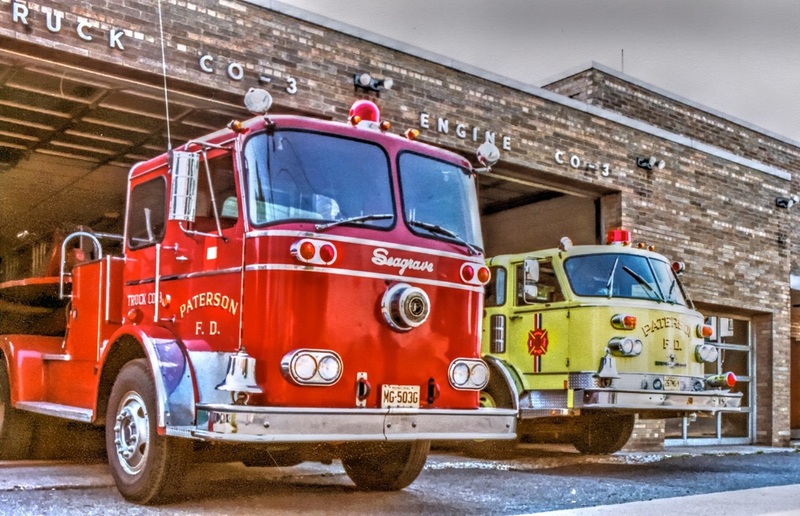 They are shown below at Headquarters with Chief Strathearn and Mayor Titus. 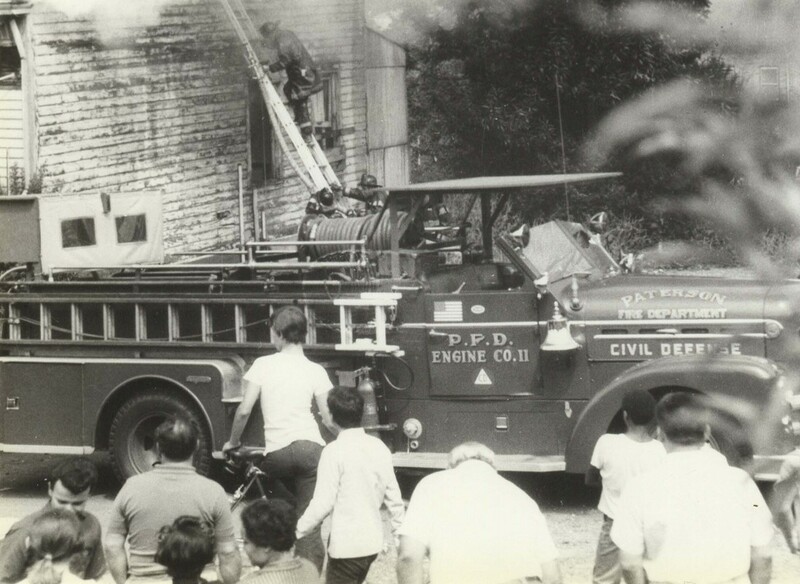 June 30, 1969: Engine Company 1 and 5 received new Seagrave 1250 GPM pumpers (Serial #s R4476 and R4478 respectively) and Truck Company 2 a new Seagrave 100' Aerial (Serial # R4475). 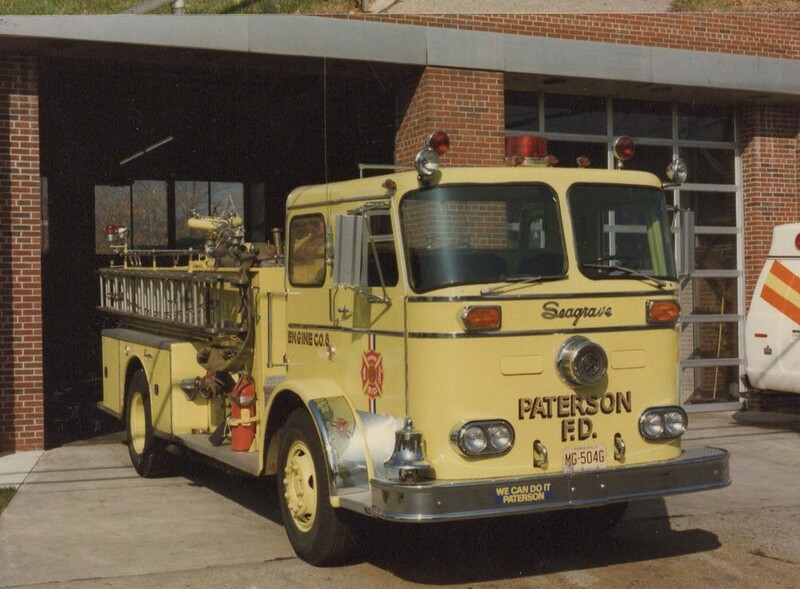 Engine Company 3 also received a new Seagrave pumper (Serial # RR4477). 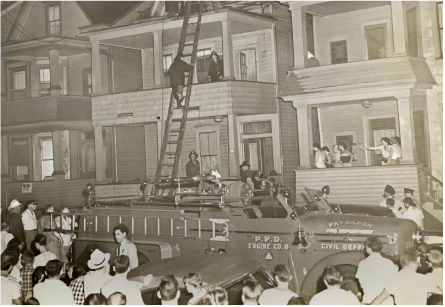 The apparatus are shown on the day they arrived at Lakeview Firehouse on Trenton Avenue. 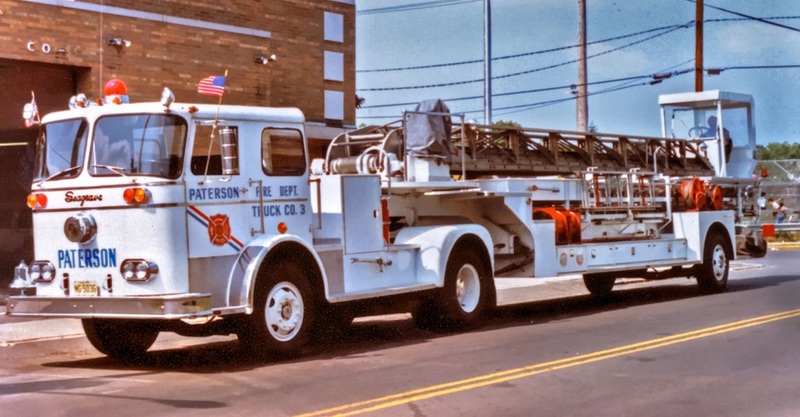 August 8, 1969: A Seagrave tillered 100' aerial, Serial R4475 went into service at Truck Company 2 at 115 Van Houten Street. 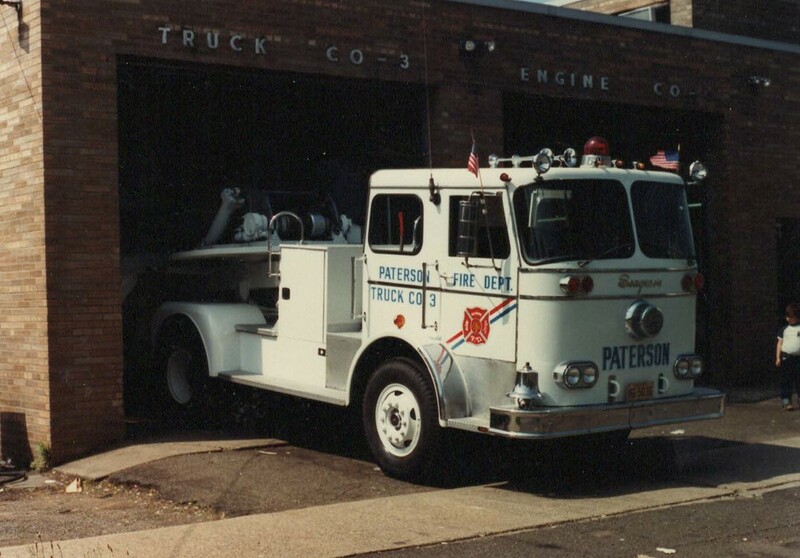 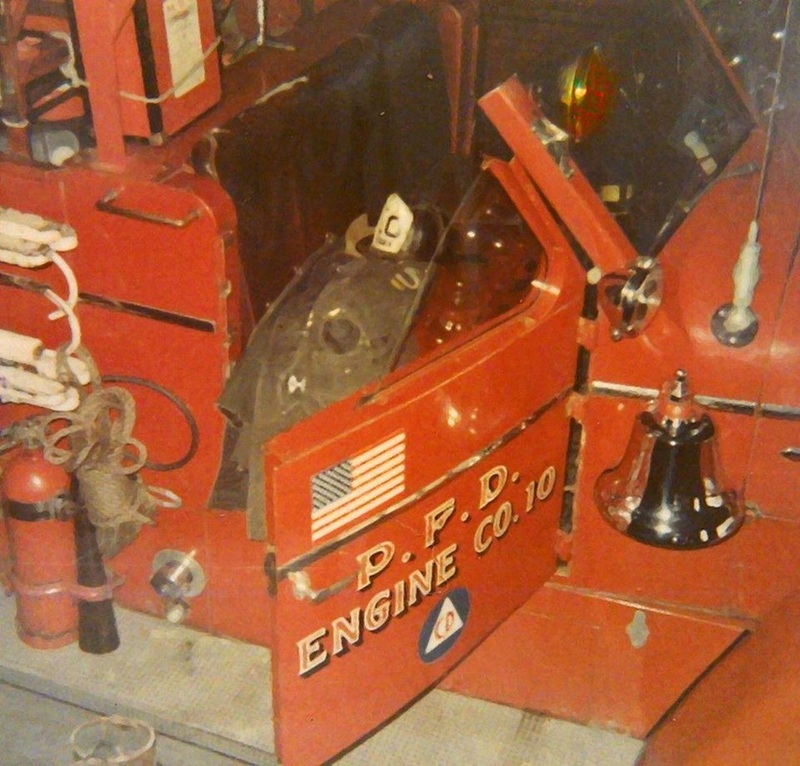 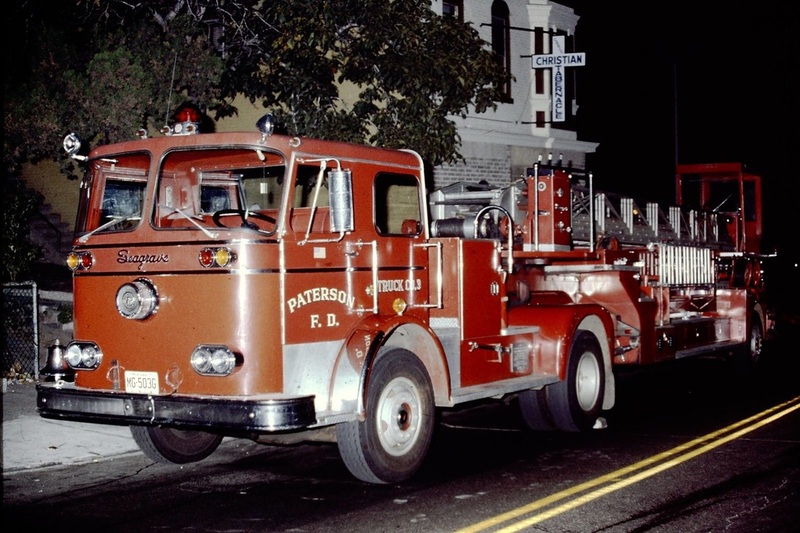 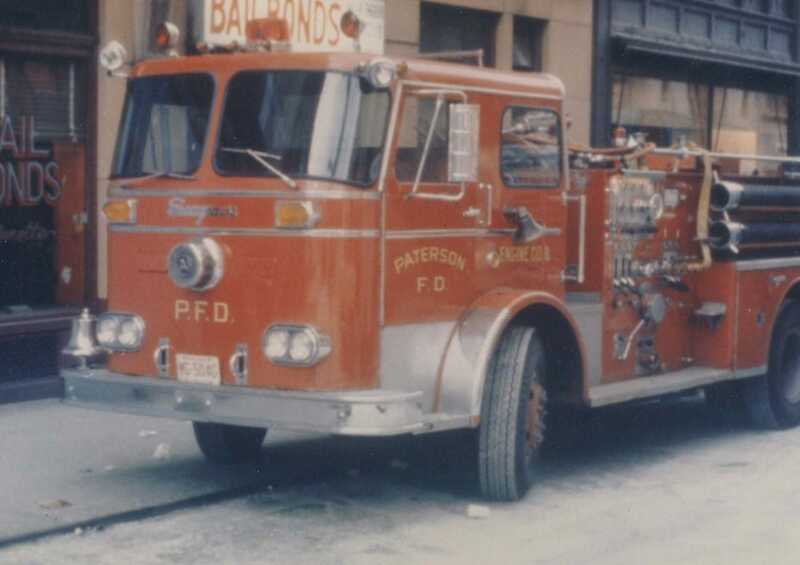 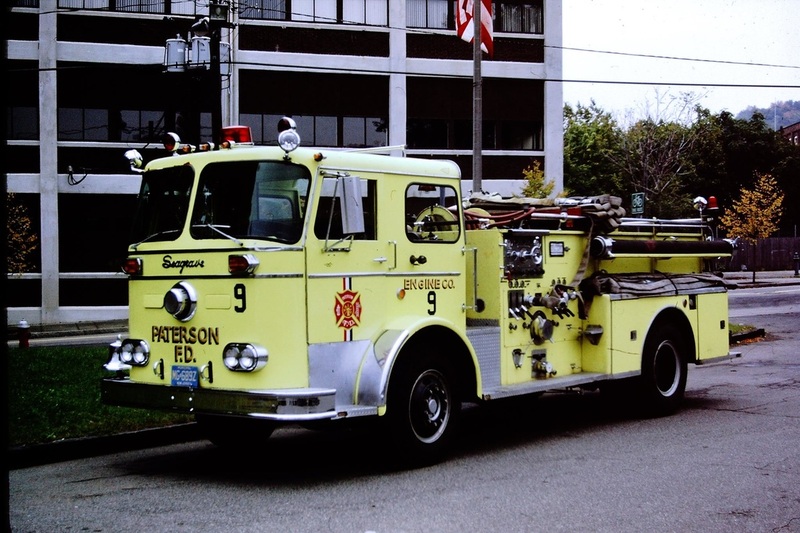 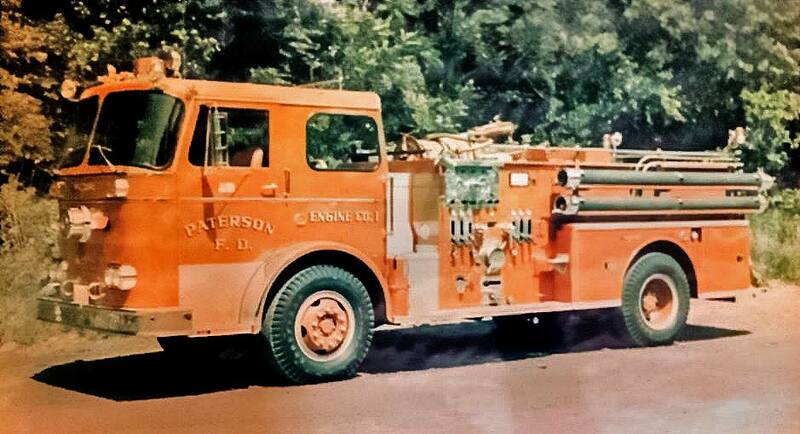 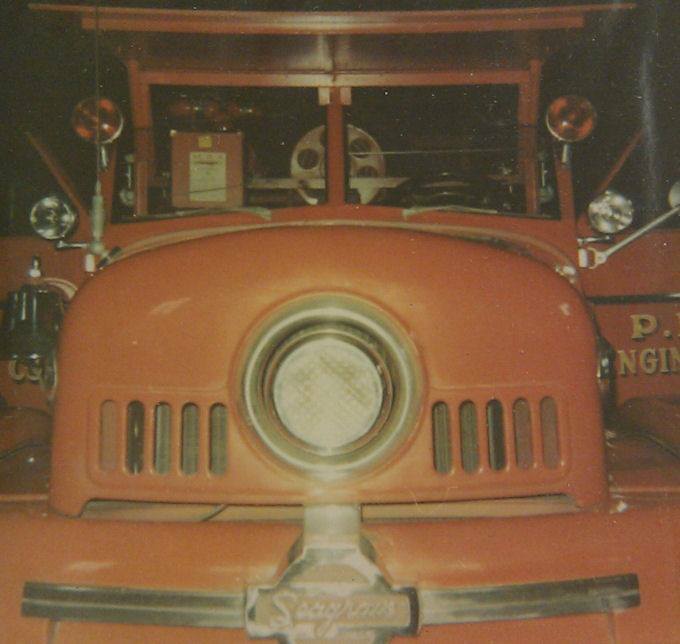 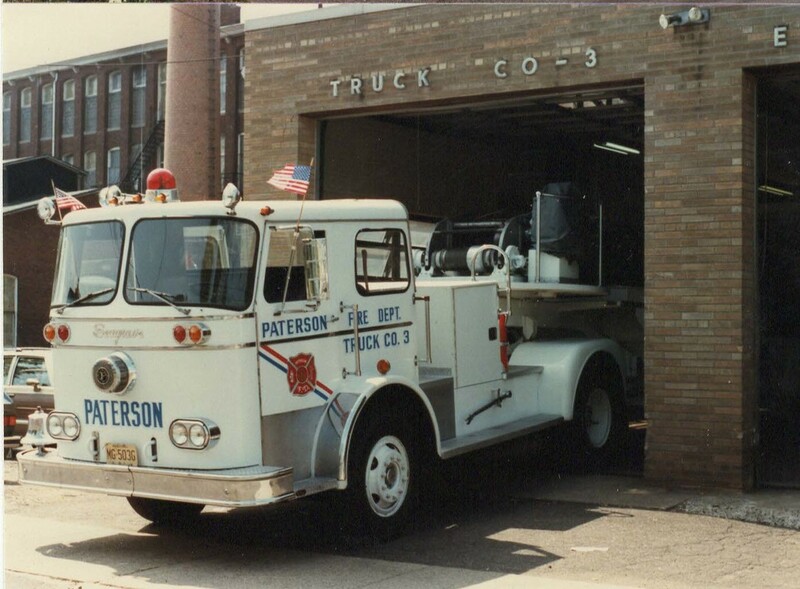 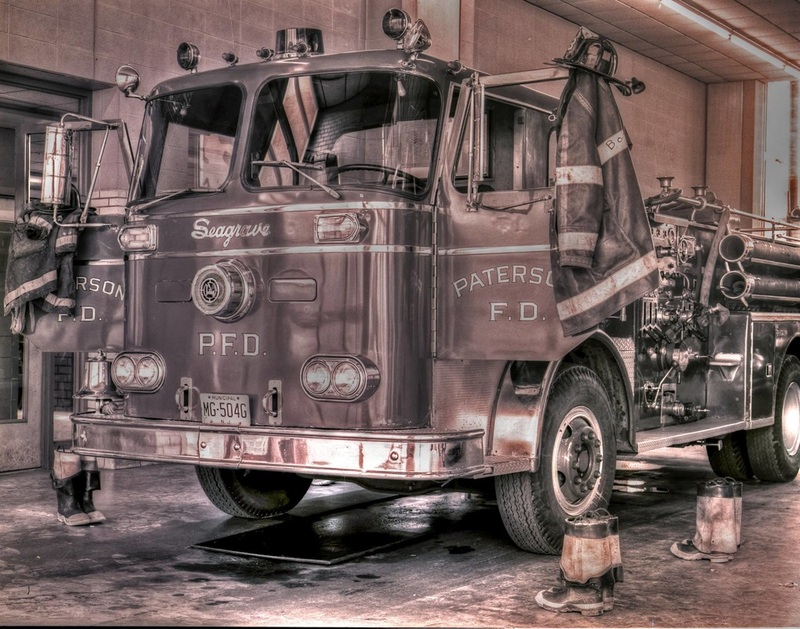 It was transferred to Truck Company 3 on June 28, 1975 at Riverside Firehouse. 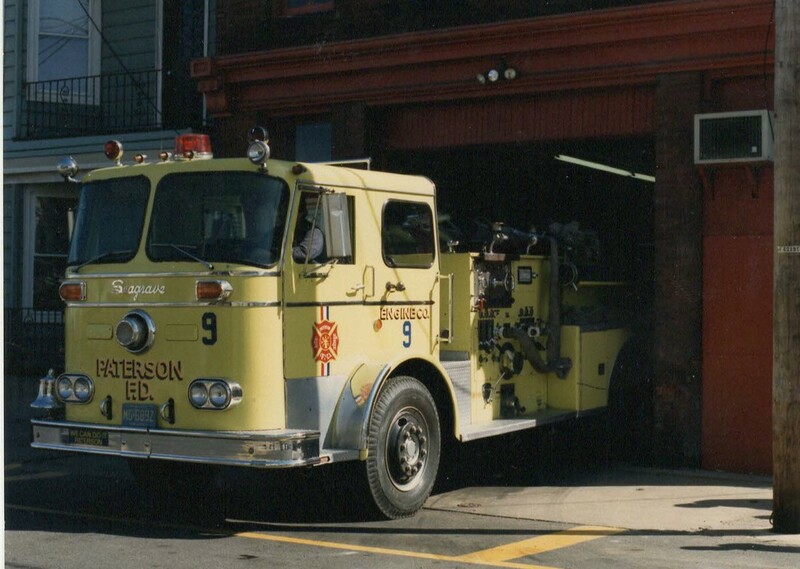 In 1983 it was painted white.